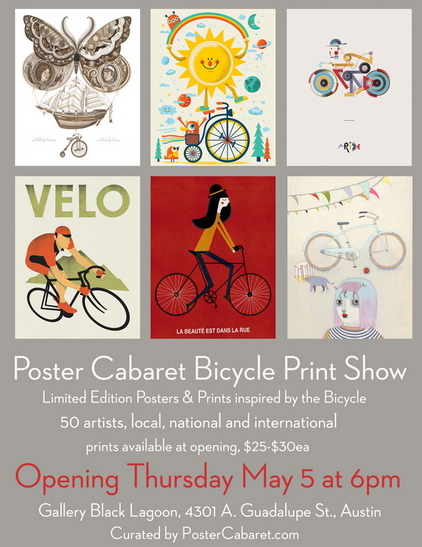 Poster Cabaret Bicycle Print Show at Gallery Black Lagoon focuses on modern concert posters and art prints. Artists include: Aesthetic Apparatus, The Cricket Press, Dan Grzeca, Daymon Greulich, Delicious Design League, Derek Hess, Diana Sudyka, Dirk Fowler, Emek, Furturtle Printworks, Gary Houston, Guy Burwell, Invisible Creature, Jay Ryan, Ken Taylor, Kevin Tong, Landland, Leia Bell, Mat Daly, Methane Studios, Micah Smith, Michael Michael Motorcycle, Nate Duval, Patent Pending, Rhys Cooper, Sonnenzimmer, Spike Press, The Little Friends of Printmaking, The Small Stakes, and Vahalla Studios. The print show will be on view May 5th through May 30, 2011. Brilliantly creative business card design from rethinkcanda for Credit Card Counseling Society. 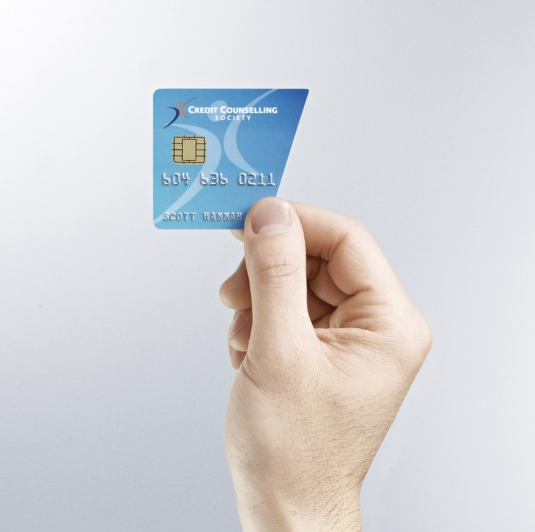 The half card design mimics a cut up credit card. It was created by reproducing a plastic credit card and then cutting it in half. The name of the client and telephone number were embossed on the business card in the same way they would appear as a card holder’s name and credit card number on a real credit card. Sarah Frost’s first solo exhibition Arsenal is currently on show at PPOW Gallery in New York City. Frost recently discovered and focused her attention on a community of boys who self-publish instructional YouTube videos for making paper guns. Learning this craft, Frost has amassed a comprehensive arsenal – from handguns to elaborate Halo-inspired assault rifles – to create a monumental installation. 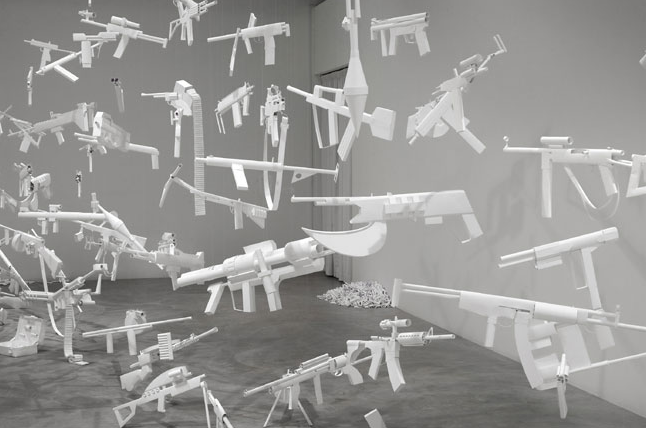 In its variety of form and configuration, including suspended objects, floor works, ammunition piles and other accessories, Arsenal reveals the intensity of the boys’ pursuit, Frost’s curiosity about it and her obsessive fascination with object-making. 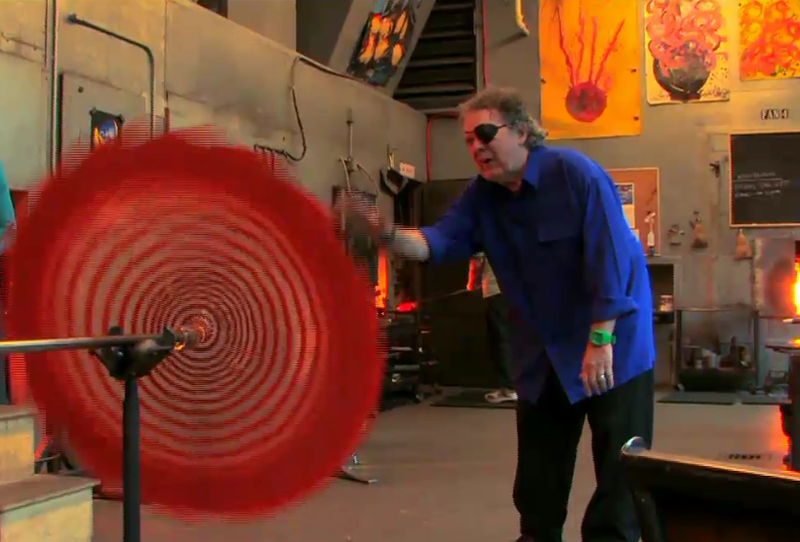 Currently on show through August 7, 2011 is Dale Chihuly’s ’Through The Looking Glass’ exhibition at the Museum of Fine Arts in Boston. This exhibition of new and archival works represents the breadth and scope of the Chihuly’s creative vision over the last four decades. 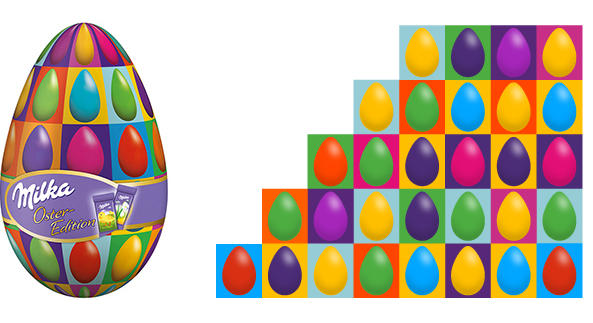 A chocolate manufacturer owned by Kraft Foods called Milka has produced a flexible polypropylene plastic pack for a range of their Easter eggs with packaging inspired by Andy Warhol graphic design, replacing the familiar screen printed celebrity with an egg worthy of a Warhol repetitious silkscreen print in bright eye-popping color. Quite pretty, comparative to what is presently out there.